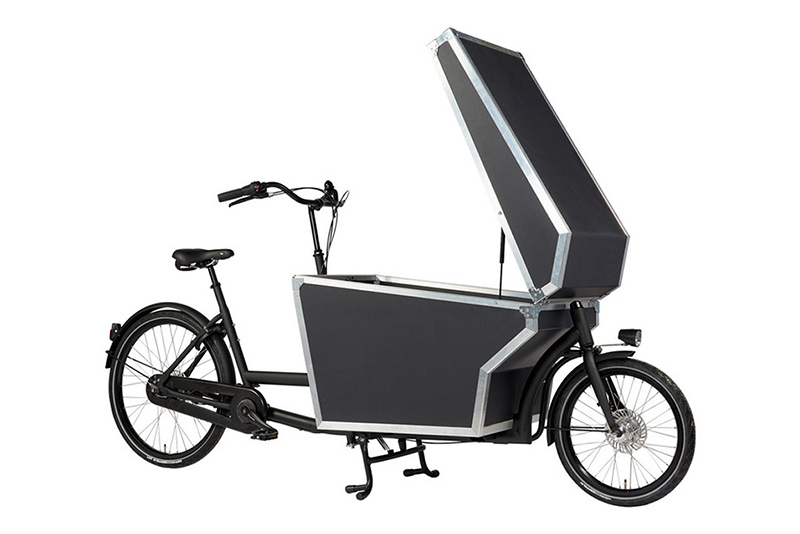 In addition to the succesful Dolly cargobike for children, the Dolly collection has been expanded with a Cagro business transport edition. Specially developed together with business users. 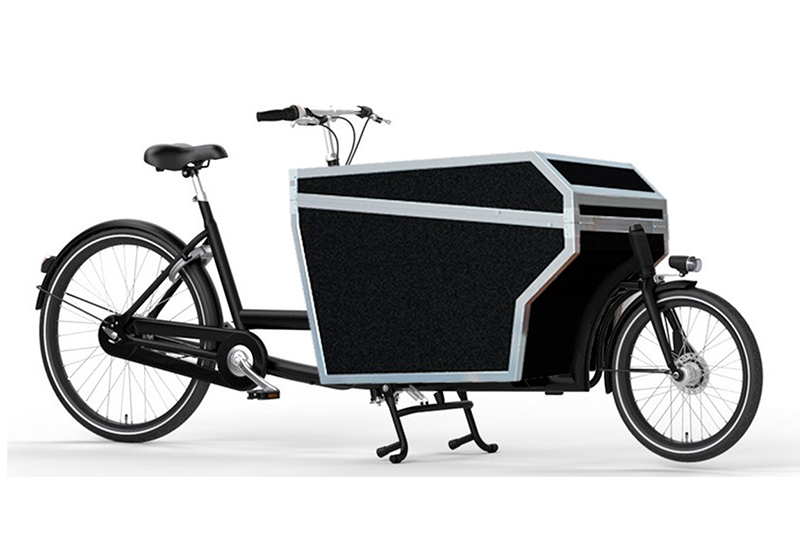 Dutch top quality and affordable. 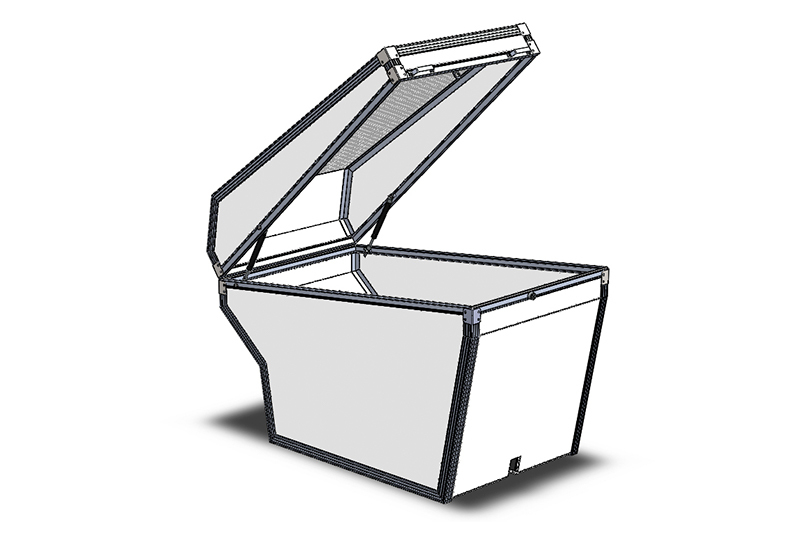 The lightweight flightcase box made of PP (polypropylene) has 280 liters capacity and a load capacity of 80kg. Gas-lifted cover, accessible on both sides. Rain resistant and with built-in lock. 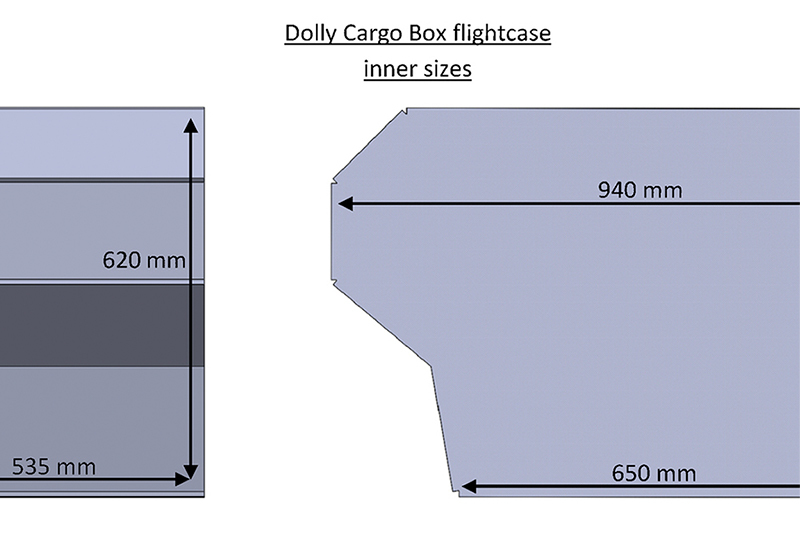 Large loading capacity through a floor surface of 650mmx535mm (LxW). Calculated on Euronorm, Gastronorm and A-standard paper sizes.